Are you opting to study abroad? And do you want to study in the most friendliest cities in the world? Abroad101, the world’s largest student study abroad review site, has come up with the top friendliest cities in the world by surveying students who visited a foreign country for their higher studies. Abroad101 latest ranking are based on 16,000 student reviews collected on various factors including overall ratings given by students, number of reviews available, recency of reviews available, and so on. In the new ranking, Cork in Ireland, and Sydney in Australia have been selected in the Top Ten Friendliest Cities in the World. Cork, the second largest city in Ireland, is located in the south of Ireland and is also an important place for higher education. 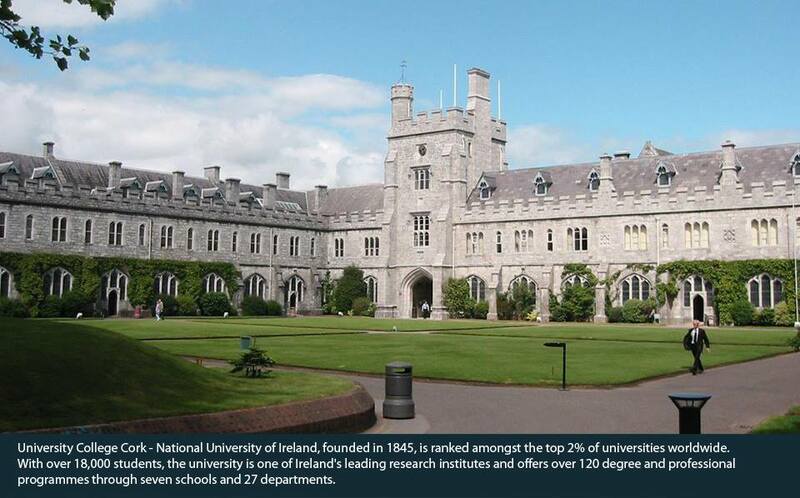 University College Cork (UCC), a constituent university of the National University of Ireland, offers a wide variety of courses in Arts, Commerce, Engineering, Law, Medicine and Science. The highly reputed Cork Institute of Technology (CIT) offers a variety of third level courses in Computing and IT, Business, Humanities and Engineering. The National Maritime College of Ireland is also located in Cork and is the only college in Ireland in which Nautical Studies and Marine Engineering can be undertaken. 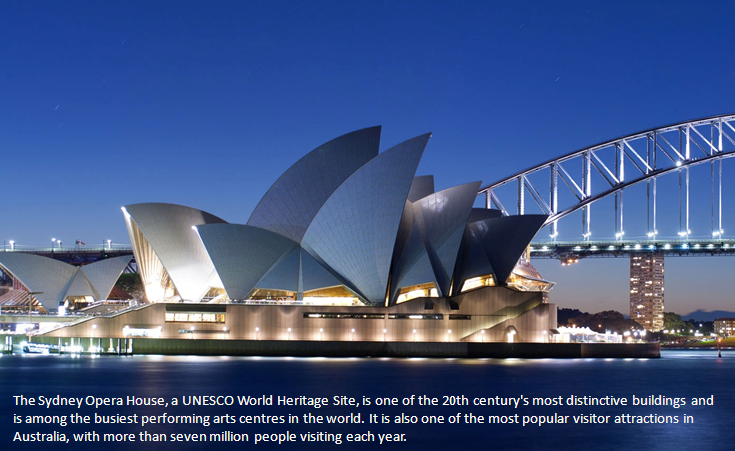 Sydney, the most populous city in Australia, is home to some of Australia’s most prominent educational institutions. It is also a popular destination for higher education for Indian students. The University of Sydney, established in 1850, is Australia’s oldest university, and is the largest and highest ranked university in Australia. Other public universities located in Sydney include the University of Technology, Sydney, University of New South Wales, Macquarie University, University of Western Sydney, Australian Catholic University, University of Notre Dame Australia, University of Wollongong and Curtin University of Technology. Every year, thousands of students travel to these countries through Santa Monica Consultants and fulfill their dreams of studying in reputed foreign universities. Santa Monica Consultants, has earned high reputation with many overseas universities and institutes, and have over thousands of satisfied clients in a decade of operation. Please contact our Counselor for a free consultation today! This entry was posted in Overseas Education Consultants, Study in Australia, Study in Ireland, Studying Abroad and tagged Friendliest Cities of the World on July 20, 2013 by Maria. Australian qualifications are highly respected internationally and are distinguished by the Australian Qualifications Framework (AQF). The AQF is Australia’s national system of learning that is recognised by many other countries. Australia invests billions of dollars into education each year and Australian universities and education institutions offer world-class facilities to international students. 1. People living in Australia generally speak English but they add a wonderful accent and distinct vernacular. So studying abroad in Australia doesn’t require you to learn a new language, but there are still many new phrases and meanings for you to discover during your adventure. 2. Australian seasons are the opposite to the Northern Hemisphere, summer starts in December, autumn in March, winter in June and spring in September. Due to its size, geographical location and the lack of extensive high mountain ranges, Australia has a wide range of climates with generally no extremes. The average maximum temperature is 25.5C (77.3F) and the average minimum temperature is 15.7C (60.2F). 3. Australia boasts natural wonders like the Great Barrier Reef. Study abroad in Australia and you could become a certified scuba diver and explore the amazing beauty the Reef has to offer. Beyond the cities, in rural and outback Australia, it’s not unusual to see mobs of kangaroo grazing in the late afternoon sun and see the flightless emu going about its business. 4. Performance arts in Australia are a beloved tradition and well funded by the federal government. Enrich your appreciation for the arts and attend any one of the several operas offered throughout each region. 5. Australia is abundant in cultural dynamics derived from Aboriginal, Dutch and English influences. Being a multicultural country, Australia offers every type of cuisine in the world, and to accompany the finest cuisines Australia also boasts a range of wineries, producing some of the best in the world. Learning and experiencing these cultures and tastes will surely be an interesting and eye-opening period in your life. This entry was posted in Overseas Education Consultants, Study in Australia, Studying Abroad on July 15, 2013 by Maria. 5 Reasons Why You Should Study Abroad? More and more students in India and across various cities are opting to study abroad after their graduation. Major countries like UK, Canada, Australia, Singapore, Ireland, Switzerland, Norway, Sweden, Denmark, Germany and Malaysia offer excellent opportunities for students in higher education and settle there after their studies. Students find lot of benefits in studying abroad and some of the major reasons are discussed below. Studying abroad gives students a variety of options in terms of number of courses that they can choose from and at the same time offer a bright future in a developed country. Some universities abroad offer very niche courses that are not yet available in India. So students will get an opportunity to learn advanced courses and settle there after their studies and have a dream future for themselves. Studying abroad will give students a true international exposure, since there will students coming from different parts of the world. It gives students an opportunity to mingle and learn with different nationalities, which help them understand different perspectives and become a better human being. Even if students come back to Kerala after their studies, they will find better job prospects in the local market since they will be preferred more than their peers available locally. Most MNCs prefer student s with an international degree or with some international exposure, since they will be more accustomed to different cultures and scenarios, which directly help them handle various types of clients of the company. Studying abroad offers a great opportunity for students to learn a new language and culture that is completely alien to him or her. Even in English speaking countries like Ireland, their local language Irish is widely spoken. Learning a new language and culture helps open one’s mind and help them become a better individual. The student will be able to get to know a large number of people from different parts of the world, and thereby able to build a vast network of friends with different nationalities. A huge network of friends will help students share their interests and get new ideas from them. When a student go to a different country and stay there for long, he or she will end up doing all the things by himself, and thereby become completely independent. They will learn to plan and manage every aspects of their life and becomes more confidant and successful in their later part of life. We at Santa Monica, the leading overseas education consultancy, have over a thousand satisfied students in our decade of operation. This entry was posted in Overseas Education Consultants, Studying Abroad on July 8, 2013 by Maria.